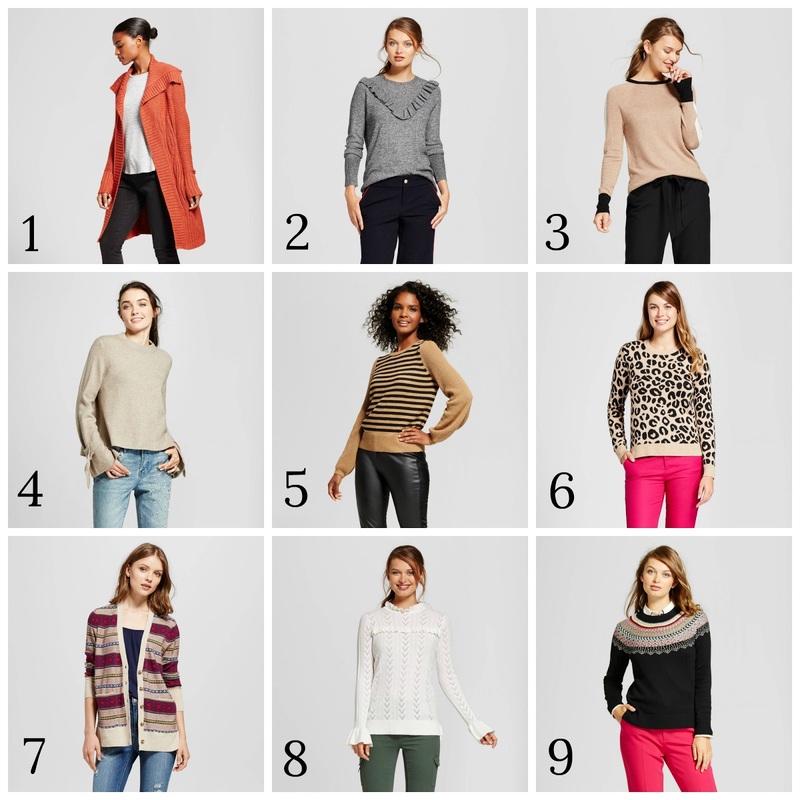 Here are my picks for this great sweater sale to get us started in the right direction for Fall! Some of my picks are pretty classic while other are very on trend. I love the idea of buying pieces that are the seasonal must-haves that don't cost a ton to avoid buyer's remorse in a few months if the trend doesn't last more than the season. Use the code COZY at check out for 20% off!! 1. This sweater coat would look gorgeous over dark jeans and tall brown boots. 2. I'm LOVING all the ruffles on sweaters this Fall! This one especially. So feminine. 3. A great go-to sweater. Jeans/black boots and done. 4. The sleeve on this sweater makes what would be basic very stylish. 5. I can not get enough stripes. Can you? This sweater/black pants/ thigh-high boots. 6. I think of animal print as a neutral. I have this sweater and have either worn it over a LBD or a t-shirt and jeans. 7. Ok, I also have this sweater. My uniform is a t and jeans and throw on this preppy cardigan with Chuck Taylors...I'm all set. 8. And I have this one! It's just too pretty to pass up. 9. A classic sweater!! I need this one too!